June marks graduation for thousands of medical residents around the country. This is a special time for residents and educators alike as it marks a major transition point. It’s a good time to reflect on who we are, what we do and, where we are going. 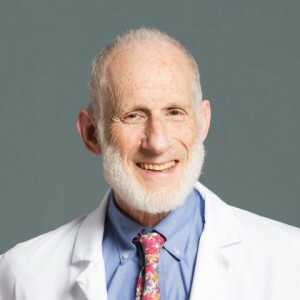 Every year, Dr. Lewis Goldfrank gives an address to the residents, their families and the staff of the NYU/Bellevue Emergency Departments. It is as much a moment of reflection as a call to action. Below are his thoughts. You are the antidote to a world in disarray, dysfunction and dystopia. For those of us who work with a guarantee to reject no one—it is unsettling to see a philosophy of rejection become a governmental credo. When people tell you that cutting hundreds of billions of dollars out of health care is good, you know there is a disconnect with reality. When one of America’s greatest agencies the CDC will be cut 17% you know that something is wrong. When someone tells you that the Environmental Protection Agency is unnecessary you know that something is wrong. When children are shamed in school for not having enough money to pay for lunch you know that something is wrong. When library fines are so great that children who cannot afford to be without books have no access, you know that something is wrong. When you are yelled at by a patient because of the color of your skin, the accent in your voice, your gender—in short who you are, you know that something is wrong. When religions are defamed, when women’s rights are neglected, when people of color are left out and abused, when the LGBTQ community is assaulted you know that something is wrong. Our values in public services are under siege. We have worked together for years trying to create an environment where all were served to the best of our ability. We have tried to learn more about our similarities and our differences. We have tried to understand the ways in which some of us have had an easier time than others. But it was clear that there was much more to discrimination in medicine of that era than the signs on doors in my institution—there the cruel sequelae of racism, misogyny and fear of otherness underscored the fact that only white men were accepted at the school. Other men need not apply. There were the permissible number of women in my class—10%—there were almost no women faculty. There were no students of Asian descent in my class and I remember no Asian faculty. The first American Black student was in my class—the first African student entered in the previous year—you cannot imagine the racism they endured. The times truly have changed but you and I must find our own paths to confronting these issues. You cannot expect your faculty and societal leaders to be your faithful guides in solving these problems. You have had a unique and privileged experience here, much like the environment at the United Nations. Here the heterogeneity of cultures, languages and nationalities of both the staff and patients is remarkable. The homogeneity of our patients must be viewed through the lens of poverty, a status imposed by society. It is these similarities in our patients and staff that assure me of the possibility that the children of these patients will look just like us in the future. When you do these things, your staff, your peers, and your students will be sure that you are committed. Your approach to medical education and patient care will be different. Your professionalism, ethics and tolerance will be formed by the culture of inclusion, of caring for all in need, of being active in the presence of injustice and of being leaders in the causes that protect those with the least in our society. We have tried to prepare you with comprehensive knowledge and skills that allow you to accept uncertainty as inevitable—in so doing we believe you are well prepared to approach problems that are not yet defined and to solve problems that will make the world a better place. Throughout your professional lives, you will be challenged to protect, cherish and enrich the values you have learned to love. Your dedication to your daily interactions with your patients and the privilege of intimacy that you have with them will be a source of strength and renewal. We have the utmost confidence in your skills, commitment, ethics and humanism. When you bring these values to each engagement with patients you will bring hope to them and their communities and particularly their youth. Your integrity and energy will be agents of change that will address the failures of our leaders, improve health care and maintain the societal commitment to equal care for all. Your approach to medical care will be an example of what is possible. It has been a great pleasure to work with you. These are the values I have strived for and believe will bring the greatest good for all us. All to often as I interact with some medical professionals and others I see a loss of these values. It is important to keep voicing them to students, faculty, residents, and others even outside of the medical community. Would it be possible to reuse your clear words in our local news? Betty – glad you enjoyed the post. Should be fine for re-use. Can you let me know what kind of local news it is? Thanks! I never thought about it but it is true-EM is the embodiment of Inclusion!